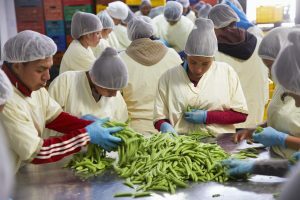 In Guatemala we are working on the sustainable development of the snow pea and green bean chain, with the ultimate aim of exporting the products. Good conditions for the farmer are the main priority. A total of 1400 producing farmers are involved in this project. They are being taught how to optimize the production of their companies. They also gain access to funding and advantageous purchasing prices. In total about 700 people benefit from the processing and export in the form of a job. The innovations require investment before the benefits can be reaped. In Guatemala we have invested in making the chain more sustainable. As a result, the farmers are now organized in cooperatives. The production methods are also continuing to improve, through to the level of various international certificates. So far this has not translated into a higher selling price, as the market demand for this is still too small. However, through lobbying, raising consumer awareness and good communication about our strong story in the chain, we are working on increasing the size of the sales market. Purchasers of the snow peas and green beans are mainly supermarkets. They have payment terms of 90 days as a result of which a lot of pre-financing is needed. In the coming period we will look for a good solution to this funding need. In the programme we are lobbying for sustainable sourcing and international corporate social responsibility’. That will make it more attractive for sourcers and exporters to purchase certified products. The horizon for this project runs until 2020. We will then complete the project in its current form and examine the possibilities for a possible follow-up. 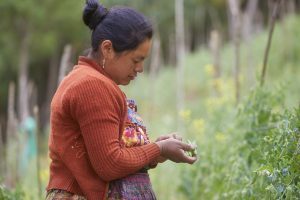 Small farmers in Guatemala have few opportunities to generate a decent income from the vegetable value chain. Especially farmers’ families in the highlands of Guatemala have a hard time. In some areas, 76 percent of the population live below the poverty line, 27 percent of whom even live in extreme poverty. The cause: a sector that is permeated by wanting to see quick results. 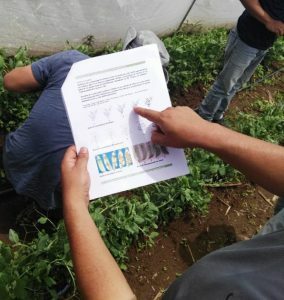 The project ‘Every bean has its black’, which Woord en Daad of 2015-2020 is carrying out with various parties, is committed to these farmers and aims to bring improvements to the Guatemalan vegetable sector. So everyone participates in economic growth. For the sustainable improvement of the living conditions of small farmers, the consortium explores innovative ways of agriculture. One of the points of attention here is the minimal use of synthetic pesticides and artificial fertilizer. The options are increasingly restricted by regulations, therefore farmers are forced to find other solutions. Sometimes that means investing in a new technique or using a new tool. We train farmers in the effective and minimal use of pesticides and offer them opportunities for financing to adopt new methods. We launch the new methods as pilots. We find out what works for the farmers and what the yield increases. In total we are working on 12 pilots, 2 of which have already started in 2017. One of the pilots that has been running for longer is the greenhouse pilot. In the dry season, a greenhouse structure has a moisture-retaining effect, in the rainy season it ensures a better dosage of the water. We have looked at different models of greenhouses, in the end we chose the open version. Here there is only a roof, no side walls. We are very curious how this is going to keep in the coming rainy season! We will keep you informed shortly with a new update! In the past the price for snow peas on the local market was highly variable. Sometimes high but mostly low. Now that we work for the export market we consistently receive a good price. We are dependent on nature for food and to be able to live. We need healthy soils, healthy air and healthy water to grow nutritious crops and to feed our cattle. Looking after the environment is therefore an important aspect of our Fair Factory approach. 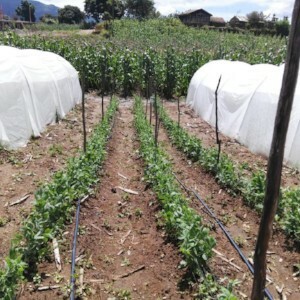 For example, we are working in Guatemala on the organic cultivation of beans and snow peas. Cesar Gonzalez and his wife Claudia from Guatemala are both 30 years old. Together they have three children: Avener (7), Awel (5) and Emeline (3). 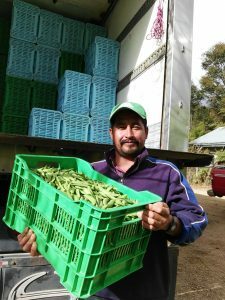 Cesar grows his organic beans for the export market on a beautiful, green slope at the edge of a forest. The entire family helps with the harvest and benefits from the income. Cesar and Claudia enthusiastically tell us about their company. I was given a piece of land to farm just before I got married. I have about 0.7 hectares. I cultivate it throughout the entire year: sweet corn for the local market and snow peas for the export market. I like trying out new things because that gives an added dimension to what I do. Without a permanent and reliable sales channel, farmers continue to be dependent on many intermediary traders and so scarcely benefit from the added value created further along the chain. We therefore invest in a processing factory, which serves as the hub in the local economy. For Woord en Daad this subsequently provides the basis for organizing farmers into cooperatives and training them to increase their production and improving the quality. The factory offers the farmers a permanent sales channel and a fair price. That enables the farmers to increase their income. 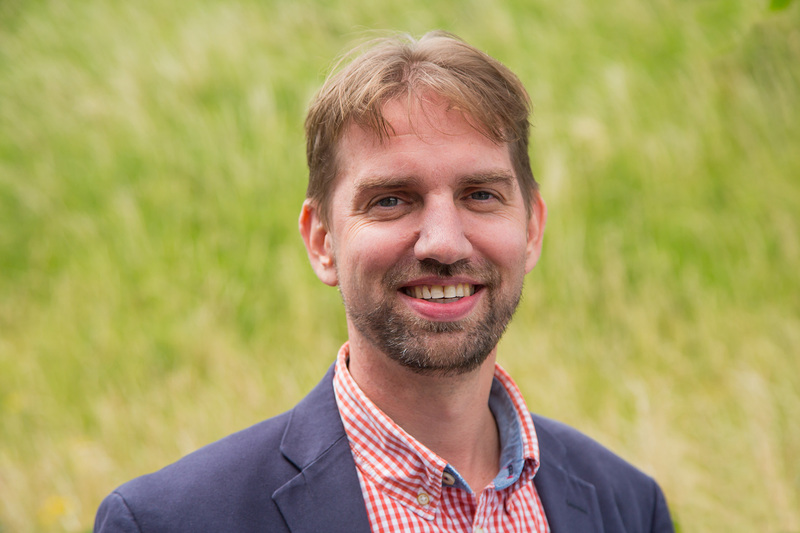 In turn, this gives them to chance to invest in their company, but also in the local economy. For example, the cooperative of farmer Elmer from Guatemala provided a new roof for the village school. Elmer is married and has four children. He can provide for them thanks to the income from his harvest. Since the start of his participation in the farmers’ association in the village, his family’s circumstances have improved. Elmer has formed an association with other farmers so that they can jointly work on quality and fair prices. ‘We have an association of 28 farmers and several prospective members. The association clusters the supply for purchasers. That allows us to make agreements about sales. As a small independent farmer, you are vulnerable on your own, but with an association you can tackle things together.’ The association also provides credit investments and supplies the farmers with seed. The formation of the association is supported by a subsidiary business of the fruit and vegetable company Fair Fruit. Besides the association providing more certainty, incomes are also on the increase. ‘As we are organized in an association, I was able to obtain a Fair Trade certificate. As a result. 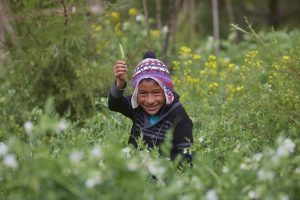 I receive almost twice as much for the snow peas.’ Elmer used the profit to purchase a car for the family, to make improvements to their home and for the school fees of his children. 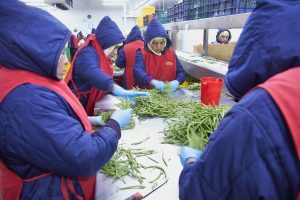 Production, packaging and export of pods and green beans. See how you can contribute to this community! Want to be part of this community? You can contribute to the Fair Factory Development Fund. For example, through a donation in the fund. Your donation enables us to invest from the fund in various factories in different countries. You can also contribute to our fund as a participant.